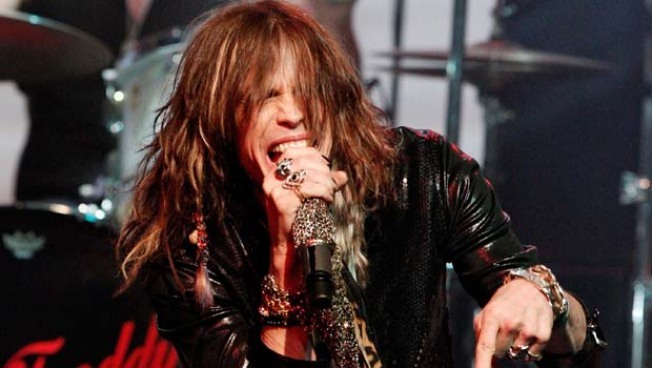 Steven Tyler will be headlining a Rock 'n' Roll Fantasy camp in Hollywood. LOS ANGELES -- If you're sick of playing Guitar Hero with the digital Steven Tyler, perhaps it's time to upgrade to flesh and bone. The Aerosmith front man will be headlining a Rock 'n' Roll Fantasy camp in Hollywood beginning April 29. Campers will rehearse daily with counselors, write and record an original song, play live at the Whisky a Go Go and record at the Capitol Records building, according to rockcamp.com. "Steven has generously agreed to donate exclusive autographed memorabilia for our traditional closing night concert and charity auction to benefit MusiCares, which will take place at the world famous Whiskey A Go Go," said David Fishof, Producer, Rock 'n' Roll Fantasy Camp. In addition to Tyler, campers will be joined by Todd Rundgren (legendary songwriter, producer), Mark Farner (formerly of Grand Funk Railroad), Duff McKagan (Guns N Roses & Velvet Revolver), Steve Lukather (TOTO), Alan White (YES) and Bruce Kulick (KISS). To register, visit http://www.rockcamp.com or call 1-888-762-2263. Keep in mind that playing with the big boys isn't exactly cheap. The Hollywood camp package costs $7,999 per person, with a $2,500 deposit required. Perhaps $29.99 for that copy of Guitar Hero: Aerosmith isn't so bad after all.